Here is an episode from a staff of a gynecological clinic. There's a young lady named Hiroko-san (anoymous: 17 years old) whose delivery day has been coming closer. I tossed my words to Hiroko-san as I thought she looked gloomy in the waiting room. "It's coming closer, isn't it..Are you concerned about your delivery?...." "Yes, I wonder how it would be coming to me"
As a result, she was hospitalized in emergency, and her baby was taken into the custody of an infant-home. After several days, I got a buzz from Hiroko-san. "I am out of hospital. Now, I''m sure I can live with my kid soon". 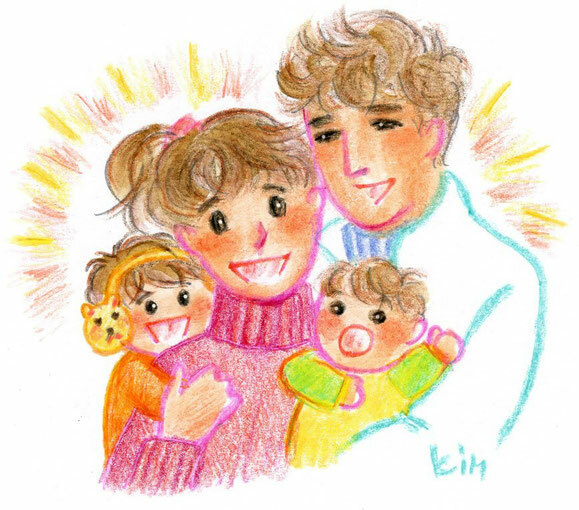 After Hiroko-san could soundly reconstructed her way out, later she gave a birth to another baby. I often see Hiroko-san in town and she looks vigorous. Now she is a full-fledged mother making her a strenuou effot in bringing up her kids with help of her husband.